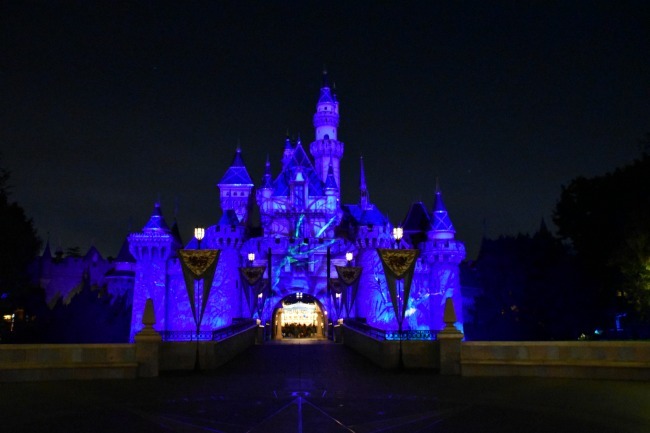 The magic of Disneyland only gets bigger and better during the holiday season – and yes, I’m totally counting Halloween Time as the holiday season. 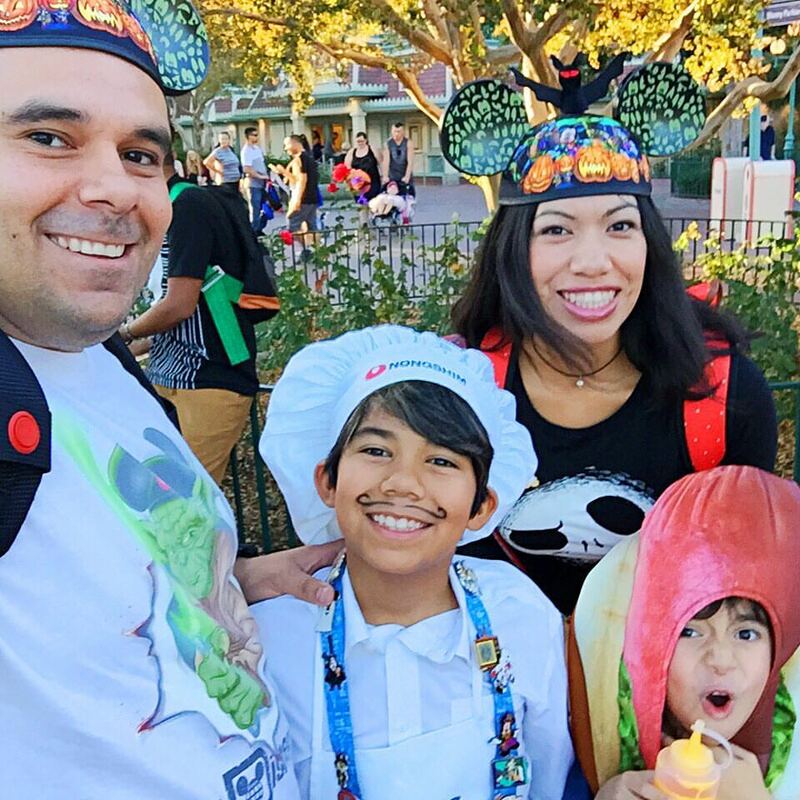 Last Friday, I had the opportunity to take la familia to Mickey’s Halloween Party as guests of the Disneyland Resort and we had an AMAZING time!!! I’m thankful to the hubster who took this selfie of us before we headed into the park because once we got inside, we didn’t stop. There was too much to do before midnight! We kicked off the night by riding The Twilight Zone Tower of Terror – and because we arrived after Twilight we did the “Late Check Out” edition where ALL THE LIGHTS WERE TURNED OFF. Todas. 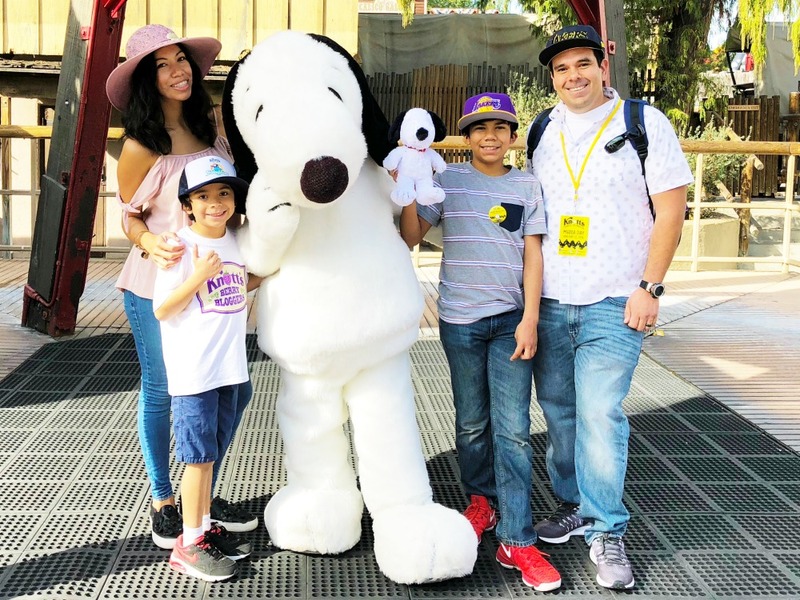 So there I am, with the two chiclets who have never been on the ride before and I’m telling them how much fun it’s going to be… a slight exaggeration for them maybe – but for me? I had a blast! Once we got off I asked Lucas what he thought of the ride. Turns out he LOVED it! 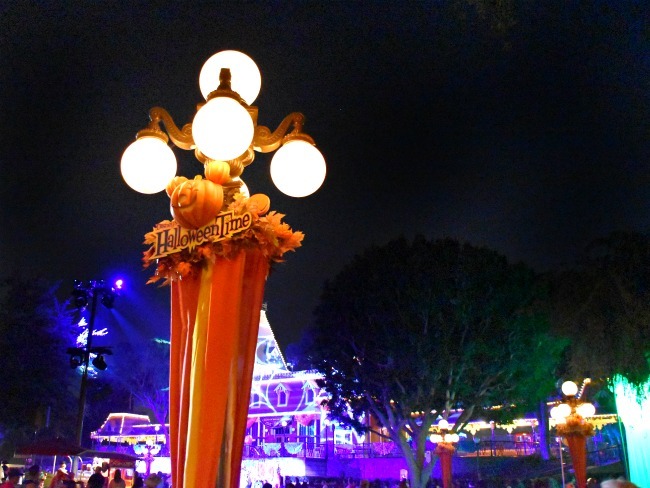 We walked into Halloween Time at Disneyland at about 7 p.m. and headed straight for Tomorrowland. Our goal? Treats!!! But of course, we got side-tracked and walked into Star Tours first. 15 minute wait for an awesome ride like that? We HAD to take it. And then there was a five minute wait for the Buzz Lightyear ride… so there we go. 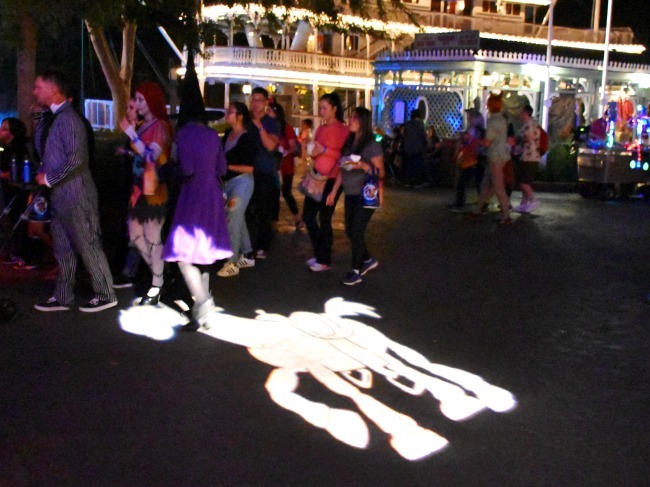 By the time we got to our first trick-or-treat spot, it was almost 8 p.m. and we wanted to catch the all new “Frightfully Fun Parade.” Thankfully, the lines go super fast and we made it back to Plaza Inn by 8:20, waiting for The Headless Horseman to take his ride. The “Frightfully Fun Parade” was a blast! 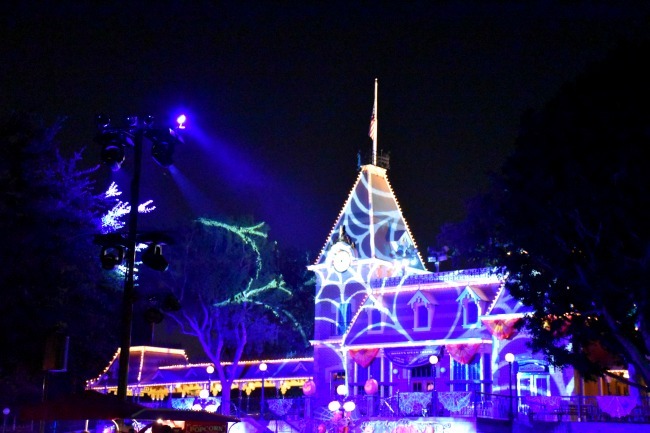 It’s under ten minutes long and featured some of Halloween Time’s favorite characters like Jack Skellington, Disney Villains, Haunted Mansion ghosts, along with some fun performers. 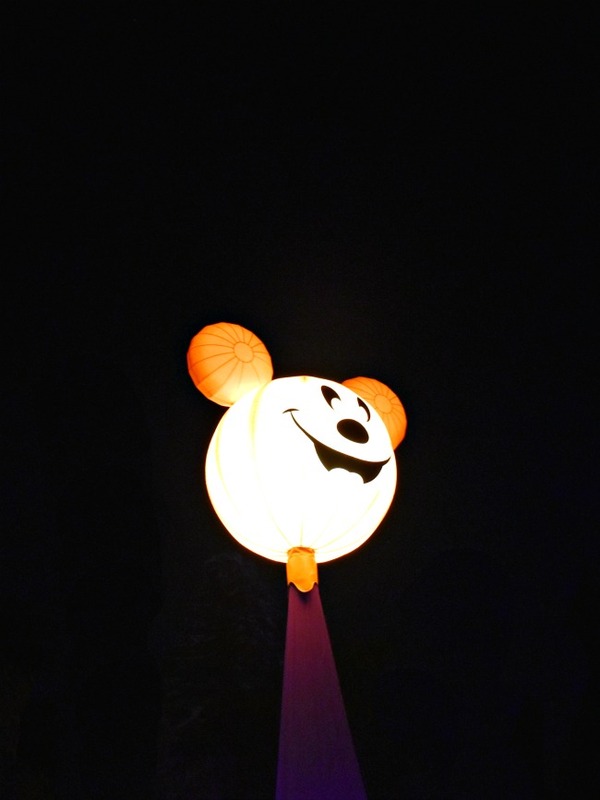 While it was nice that the parade wasn’t long so we could go back to trick-or-treating, it did leave us wanting more because it was so different than Disneyland Resort’s other parades. 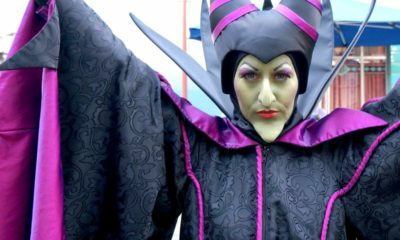 Want to see more Frightfully Fun Parade pics and the the full parade video? 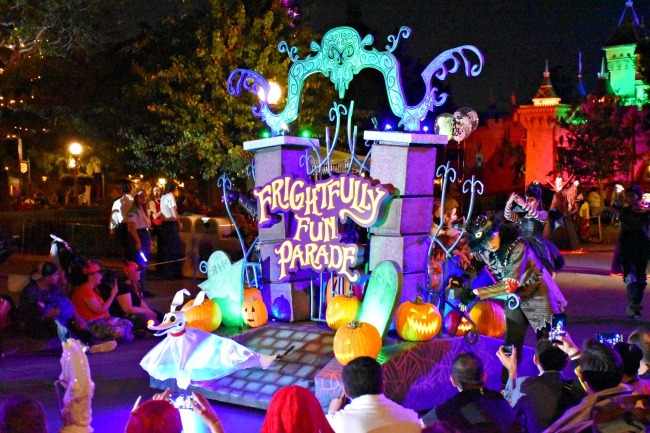 Visit this Frightfully Fun Parade blog post. 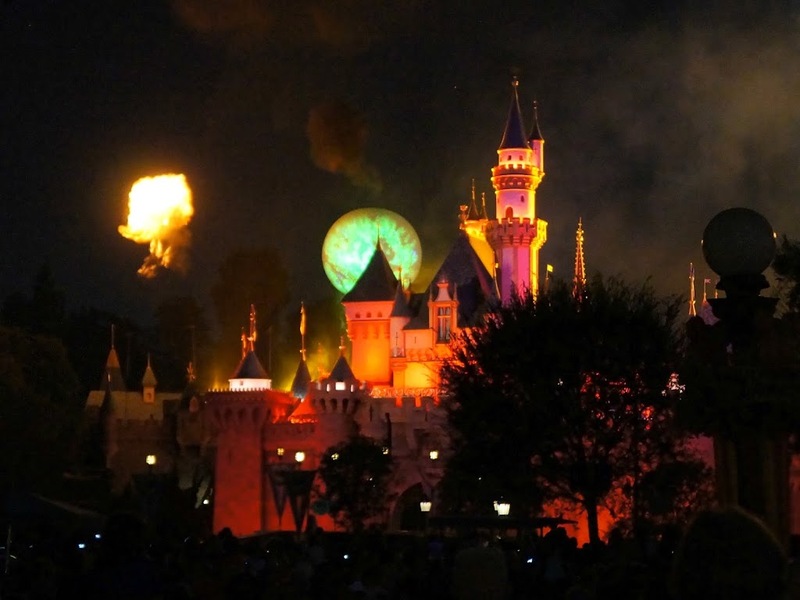 If you stick around after the first parade show, you can catch the “Halloween Screams” fireworks spectacular, presented exclusively for guests of Mickey’s Halloween Party and hosted by “Master of Scare-omonies” Jack Skellington. 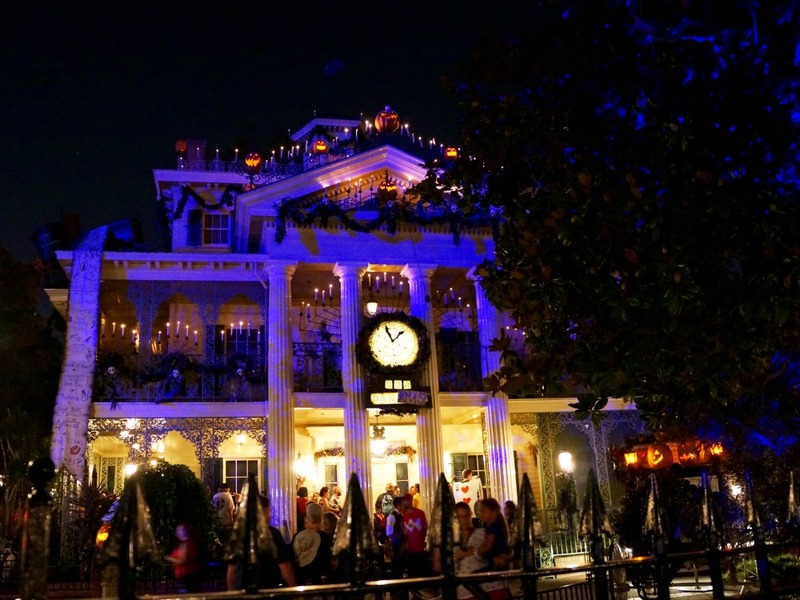 The parade ended close to 9 p.m. and we still hadn’t visited Jack Skellington at his temporary residence – the Haunted Mansion. 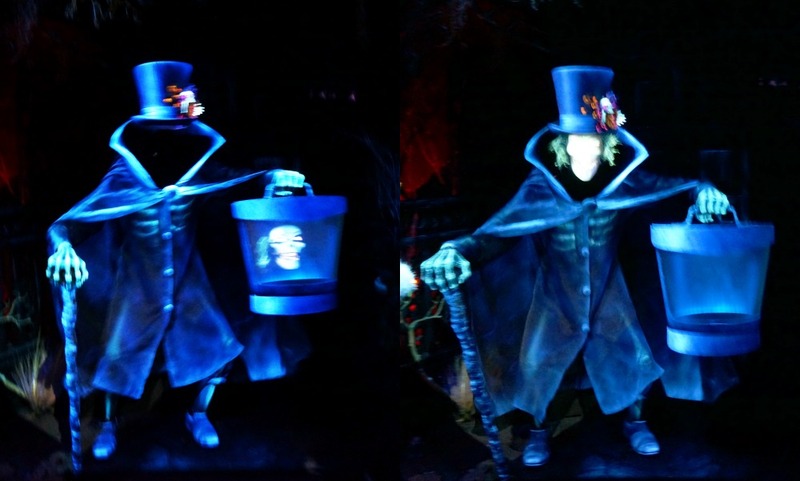 So we caught up with a few friends and hauled the chiclets over to the mansion to see Jack, Zero, the Hatbox Ghost and for the first time ever – Sally! 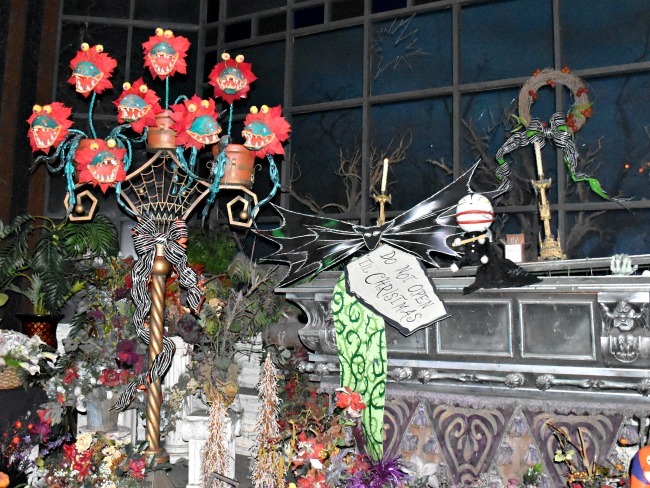 On our way, we stopped to see Disneyland’s Dia de los Muertos display at Rancho del Zocalo. 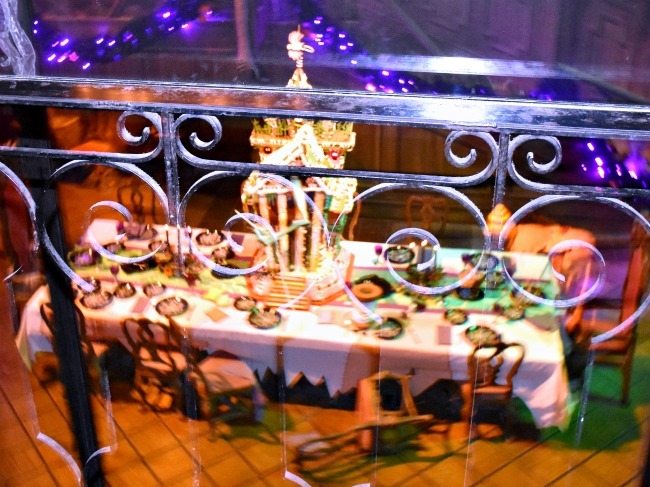 Inside the Haunted Mansion, we caught sight of this year’s gingerbread house – and it is as awesome as ever. 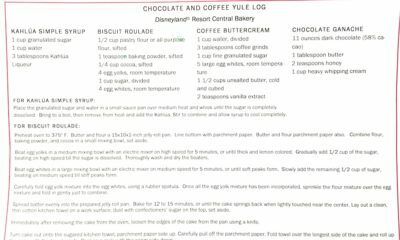 The smell of gingerbread as you turn around the corner will never get old. This year’s [gingerbread house] version appears to have been stitched together from pieces of other gingerbread houses and treats. In fact, the ghoulish architect has stitched himself inside the house, and one green arm still may be spotted, sewing the walls together around him. 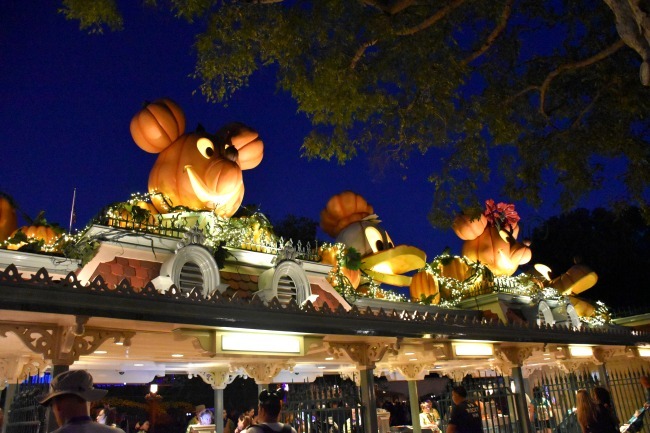 There is so much to do at Disneyland during Mickey’s Halloween Party, and while the kids love munching on their candy and healthy treats, my favorite part is just walking through the park and checking out all the fun decorations. 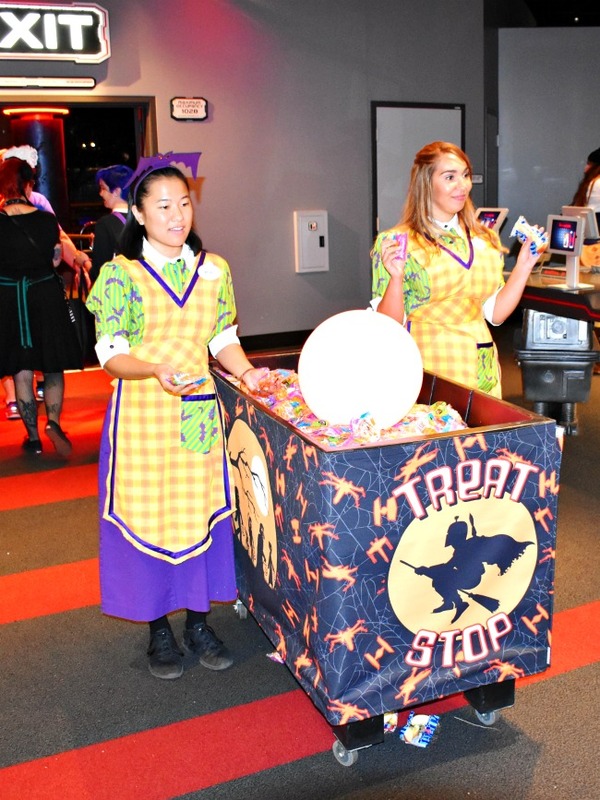 You can really see Halloween Time come alive – from the streets all the way to the sky. 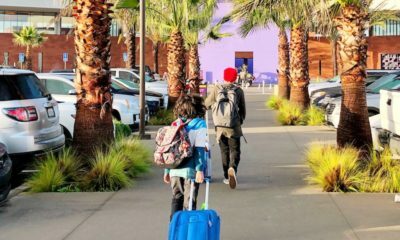 My biggest recommendation to parents? Take as many pictures as you can, but give yourself time to enjoy the experience with your chiclets. When you go, don’t miss a visit to Cinderella’s Castle. 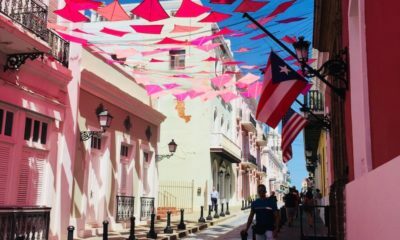 Chances are that you won’t be able to go through the castle, but that’s okay because you’ll get the most gorgeous pictures as you stand along the sidewalk. 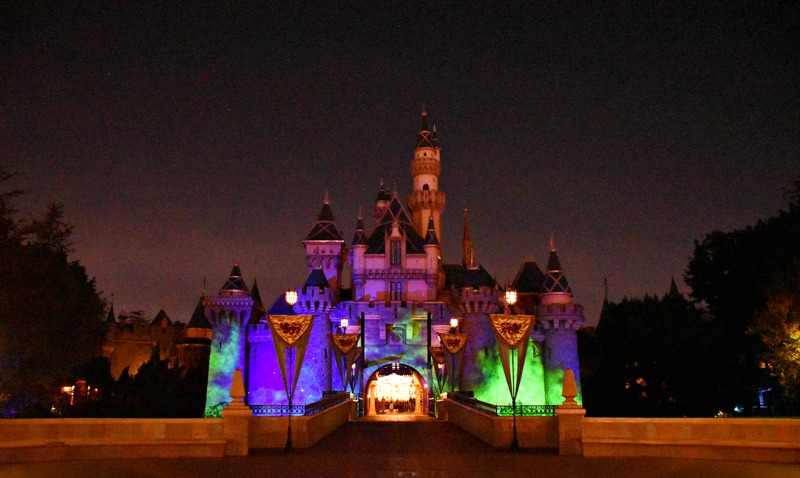 You’ll be able to see the multiple Halloween Time projections running across the castle. 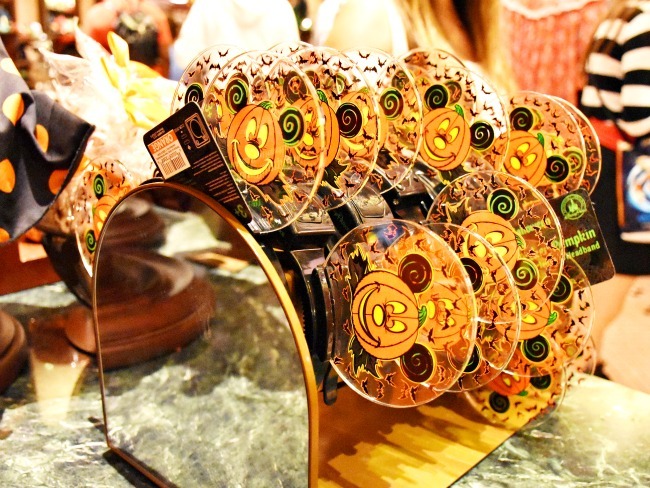 We left at midnight after some shopping (the light-up Halloween Mickey ears were a trending item around the park) and dinner at Carnation Cafe. All in all, we managed to hit up three trick-or-treating stops and came home with a large haul of treats – including enough lunch time snacks to last us a month! Even though we were in the park for five hours, we didn’t really get a chance to do everything. We missed a ride on Space Mountain Ghost Galaxy, listening to the Cadaver Dans sing us spooky tunes, and rocking out at Tomorrowland Terrace in a family-friendly dance party. So we’ll have to save those special treats for another day. 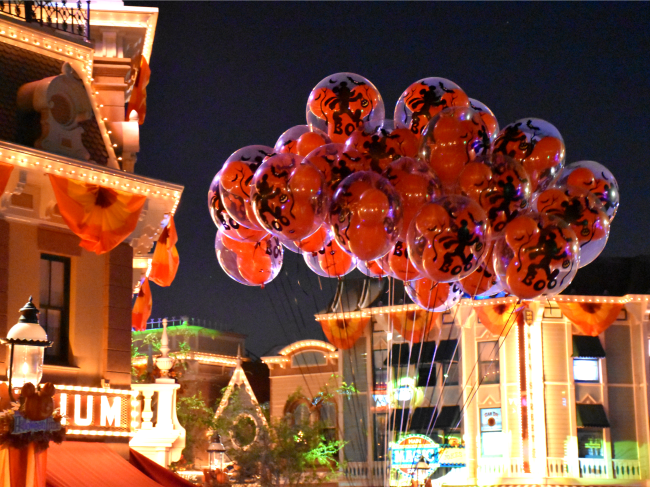 Mickey’s Halloween Party is one of our favorite Halloween time traditions, but unfortunately the dates sell out quick. So if you have your heart set out on going, you’ll have to make a note of the ticket sale dates that happen in July. 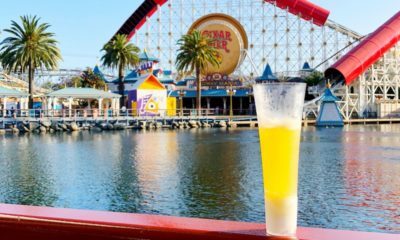 Parking ($18) is not included, and my suggestion to you is that you park at the Toy Story Lot instead of Mickey & Friends because there tends to be more parking there. There are shuttle buses that will drop you off at the esplanade. 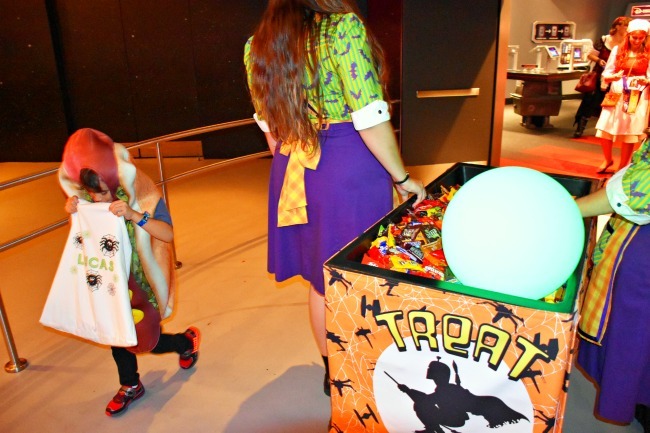 Also, as far as costumes go, Mickey’s Halloween Party allows both adults and children to dress in costume to take part in the festivities. 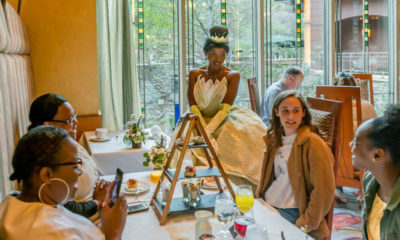 You can check www.Disneyland.com for costume policy guidelines prior to your arrival. 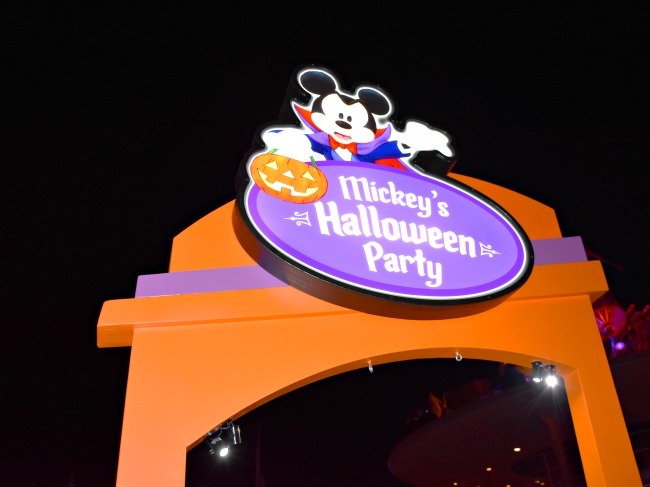 Your Mickey’s Halloween Party ticket also give you access into Disneyland Park for up to three hours before the party starts. 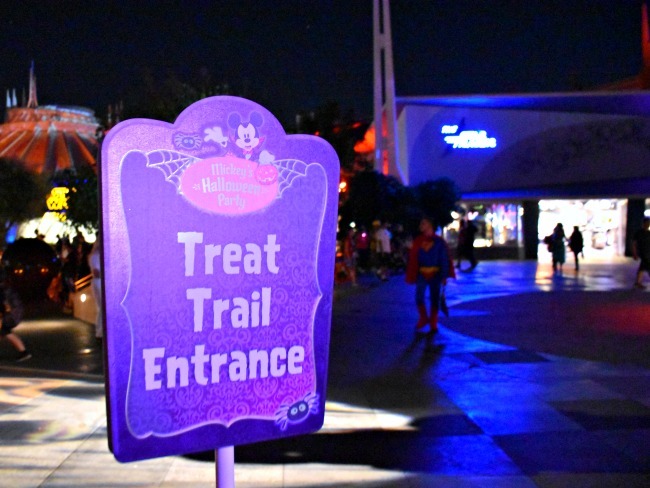 And here’s a special tip – visit Toontown and start trick-or-treating as early as 6 p.m.! 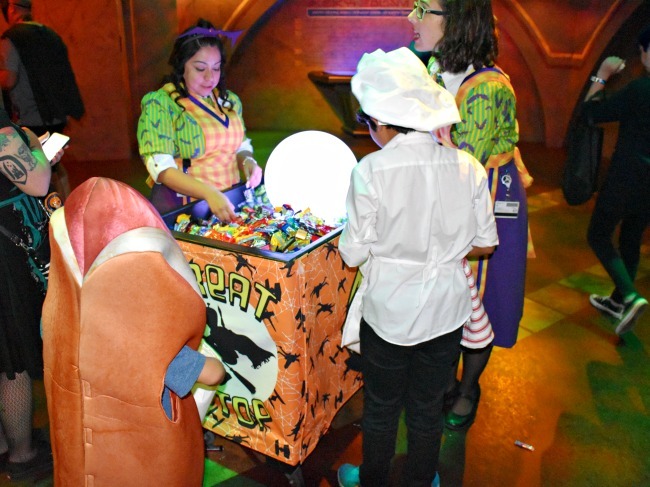 Tickets for Mickey’s Halloween Party may be purchased online and on mobile devices at Disneyland.com/party, as well as at the Disneyland Resort main gate and by phone at 714-781-4400. Tickets purchased in advance are available at a discount for select nights. Tickets purchased on the day of the event are $89 each. 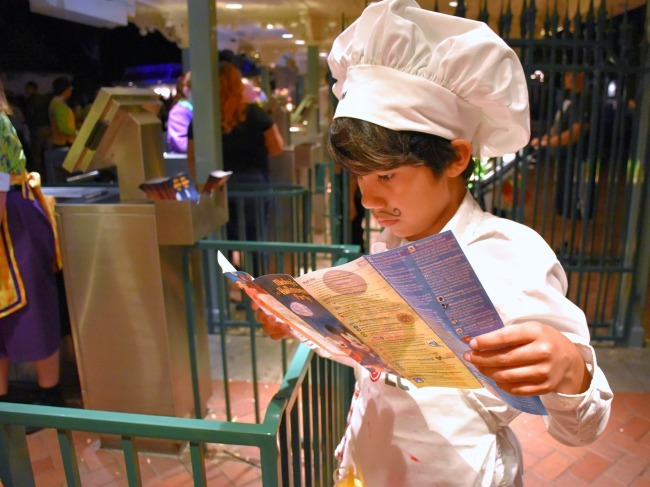 All tickets to Mickey’s Halloween Party on Saturday, Oct. 29, and Monday, Oct. 31, are $99 each. This is not a sponsored post. 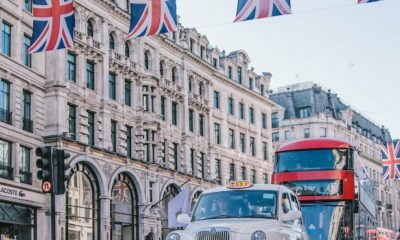 We were invited to facilitate this post. All thoughts and opinions remain our own.